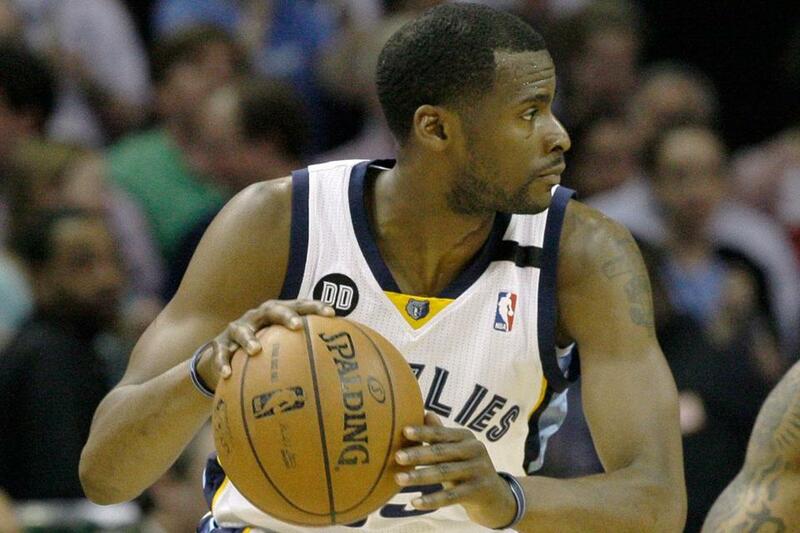 Keyon Dooling is back in the NBA, and the playoffs, as a member of the Grizzlies. Dooling had been molested by more than one person for a period of years as a pre-teen in Fort Lauderdale, Fla. A teenage friend of a relative coerced him and his friend into visiting after their playtime. The results were ghastly — abuse on several occasions by men and women. Dooling suppressed the pain, and went on to become a high school basketball standout in Fort Lauderdale, a star at the University of Missouri, and a quality NBA guard, all with little incident. Until that June night in Seattle, which touched off a series of nervous breakdowns over a seven-day period that landed him in a Boston mental institution fearing for his life. Nine months later, Dooling is back in the NBA with the Memphis Grizzlies, having signed a contract following a stint as player development director with the Celtics. His return to the NBA is a triumphant one, regardless of his statistics, because he is a survivor of sexual abuse. Basketball was hardly a thought when he sat in that mental facility. “It was absolutely the worst time of my life,” Dooling told the Globe. “I thought my life was over. “I couldn’t explain what had happened to me. I didn’t know what had happened to me. I didn’t know how I ended up in that place. It was just so not me. Dooling and Celtics coach Doc Rivers were both members of the NBA Competition Committee, and when Dooling was a no-show for the annual June conference call, Rivers grew concerned. The concern was so overwhelming that Rivers flew from his Winter Park, Fla., home to Boston, only to find that Dooling had been detained by police for behaving erratically in public and placed under 72-hour observation in a Boston-area mental health facility. 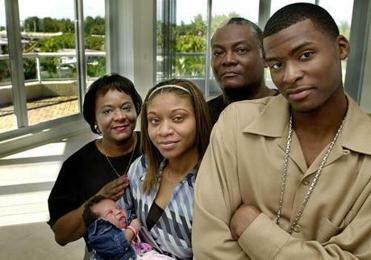 Keyon Dooling with his family while a member of his first NBA team, the Clippers. Rivers visited Dooling in his desperate state, and the sight was demoralizing. “It was hard,” said Rivers. “I saw him really struggling emotionally. I’m clearly not qualified to handle what was going on and knew that right away. And I was just concerned. “The first episode was on a Friday because I was leaving that afternoon, I got on a plane and went home [to Florida] and I just didn’t feel good and I turned right back around. I think I was home 12 hours. “You get a sense that something’s not right. I called [Celtics president of basketball operations] Danny [Ainge]. I spent a lot of time with [Dooling]. I didn’t do anything. I just sat there and listened to him. I just wanted him to know that I love him, and with the emotion, I was attached to him. The facility that was housing Dooling — which none of the parties involved wanted to be identified for this story — made Rivers uncomfortable. Dooling was unable to represent himself, so Rivers called NBA Players Association executive director Billy Hunter and asked him to get Dooling out of there. With the help of NBPA medical officials, Dooling was quickly moved to another facility. Rivers was one of the first people to whom Dooling revealed his lifelong secret. The fact that Dooling had made it so far impressed Rivers. “I don’t think anyone has any idea the pull and the pressure that players are under, especially players that come from tough areas,” Rivers said. “It’s like sitting there on draft night, for me, [my son] Austin is in a different place because his family is doing OK. Although Dooling considered Hunter a mentor, he had given him no hint of his childhood troubles. Dooling masked his pain, unable to come to grips with the abuse. It tested his manhood. It questioned his strength. It forced him to reflect. “I feel different emotions depending on what time of day it is,” Dooling said. “There’s a lot of hurt still right here, brother. I’m learning how to embrace the different feelings that we have. That means I’m growing as a man because I can feel emotions that I never felt before. And I can deal with them and I don’t have to run from them or feel insecure about them. “Though at times I do feel a bit, ‘Why me-ish?’ I do feel insecure sometimes about what happened to me, especially as a man, as a macho man, and to be honest with you, because I was abused by men and women, I’m way more embarrassed about the man situation. 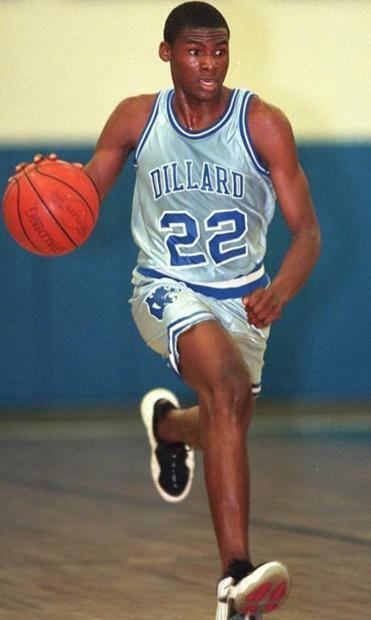 Keyon Dooling as a star at Dillard High in Florida in 1998. Dooling almost reached a breaking point at that restaurant in Seattle. In the restroom, another patron made what Dooling believed to be inappropriate advances, and there was a confrontation. Dooling had to be restrained. He credits Bradley and Chris Wilcox for consoling him during such a turbulent time even though they didn’t quite understand what was going on. “Keyon’s like a brother to me,” said Bradley. “It’s good to see him back in the NBA, happy for him. He’s a great guy, great player. He’s been through a lot. That’s what makes me respect him more than anything. Dooling credits Rivers with fostering the healing process. After he was treated and began revealing his secret to friends and family, in the midst of the cleansing, Dooling decided to retire from the NBA despite having agreed to a one-year contract extension with the Celtics. The reasons were cloudy. Dooling just said he was ready to stop playing and pursue other interests. There was speculation that he was trying to get out of his contract with the Celtics and perhaps sign with his hometown Miami Heat. But Dooling said he knew he couldn’t play — at least not for the time being. “When I wanted to retire, everybody just wasn’t feeling it, and that definitely started a pattern of behavior in myself,” he said. “I had really never felt that way before. I have always been free and flying. “I haven’t had to ask my parents for a dollar since I was 16 years old. I have kind of always been my own man, made my own decisions, found my own path. The way I wanted to end it, it became bigger than just being about me. After his breakdown and revelation, Dooling began visiting with Dr. Timothy Benson, a Harvard psychiatrist who gave him strong advice on how to approach his pain. Dooling said he approached it with the vigor of taking a college course, healing gradually as he learned not to blame himself. Once that message resonated with him, Dooling decided he had to speak publicly for victims of sexual abuse. Dooling and his wife, Natasha, appeared on Katie Couric’s show last November to talk about his comeback. He also began speaking with troubled children, who, like him 25 years ago, were hiding their pain behind anger and toughness. “Hundreds of thousands of people were reaching out to me, especially a lot of people who have been victimized by sexual abuse,” said Dooling. “So the path I thought I was going to take in this world of basketball, it could potentially come to a halt because I think I have a higher calling to have a bigger impact on humanity. I know I have some work to do out there for humanity. “It wasn’t my choice [to go public]. I was going to do the Katie show and fade to black and focus on basketball and work my way up and maybe become a GM one day and become team president one day. But I can’t, when you get hundreds of thousands of people reaching out to you, telling their stories of hurt, kids who can’t move on. “One young man told me he hates telling all his business to the psychiatrist. He hates talking to them. And he told me everything. “People don’t heal. People don’t get rehabilitated. People take all this hurt into their adulthood and they keep the generational curses on their family. “So it’s bigger than just me and what I am trying to do. It’s about ubuntu. We need to embrace it. After the cleansing, Dooling wanted to play again. He wanted to return to the Celtics, but because his contract had been bought out, he was ineligible to play for them. So he agreed to a contract with the Grizzlies and has played in seven regular-season and three playoff games for them as a reserve point guard. The heart is healing. Dooling has a renewed purpose and passion after surviving his harrowing experience last summer. He has seen the depths of depression, but he is now standing with pride. Cries of pain have been replaced by hymns of hope, and Dooling has embraced his role as an ambassador. “If you run from something like this and hide and miss your calling,” he said, “how empty would your life be, knowing you could have helped millions and millions and millions of people and you didn’t because you were embarrassed or insecure or weren’t comfortable enough in your skin to make a difference? And I’m not that. I’m not that.